Textbooks represent a significant portion of the overall cost of higher education in the United States. The burden of these costs is typically shouldered by students, those who support them, and the taxpayers who fund the grants and student loans which pay for textbooks. Open educational resources (OER) provide students a way to receive high-quality learning materials at little or no cost to students. We report on the cost savings achieved by students at eight colleges when these colleges began utilizing OER in place of traditional commercial textbooks. Hilton III, J., Robinson, T., Wiley, D. & Ackerman, J. (2014). Cost-savings achieved in two semesters through the adoption of open educational resources. The International Review of Research in Open and Distributed Learning, 15 (2),. Athabasca University Press. Retrieved April 20, 2019 from https://www.learntechlib.org/p/171065/. Bailey, T., Jenkins, D., & Leinbach, T. (2005). What we know about community college low-income and minority student outcomes: Descriptive statistics from National Surveys. Community College Research Center. Baker, J., Thierstein, J., Fletcher, K., Kaur, M., & Emmons, J. (2009). Open textbook proof-of-concept via Connexions. The International Review of Research in Open and Distance Learning, 10(5). Baumol, W.J. (1996). Children of performing arts, the economic dilemma: The climbing costs of healthcare and education. Journal of Cultural Economics, 20(3), 183206. Berry, T., Cook, L., Hill, N., & Stevens, K. (2010). An exploratory analysis of textbook usage and study habits: Misperceptions and barriers to success. College Teaching, 59(1), 31-39. Bissell, A. (2009). Permission granted: Open licensing for educational resources. Open Learning, The Journal of Open and Distance Learning, 24, 97-106. Buczynski, J.A. (2007). Faculty begin to replace textbooks with freely accessible online resources. Internet Reference Services Quarterly, 11(4), 169-179. Carbaugh, R., & Koushik G. (2005). Are college textbooks priced fairly? Challenge, 48(5) 95-112. Caswell, T. (2012). The Open Course Library of the Washington State Colleges. In D.G. Oblinger (Ed. ), Game changers: Education and information technologies (pp. 259-262). Retrieved from http://www.educause.edu/Resources/GameChangersEducationandInform/Cas EStudy2TheOpenCourseLibrary/250347. D’Antoni, S. (2009). Open educational resources: Reviewing initiatives and issues. 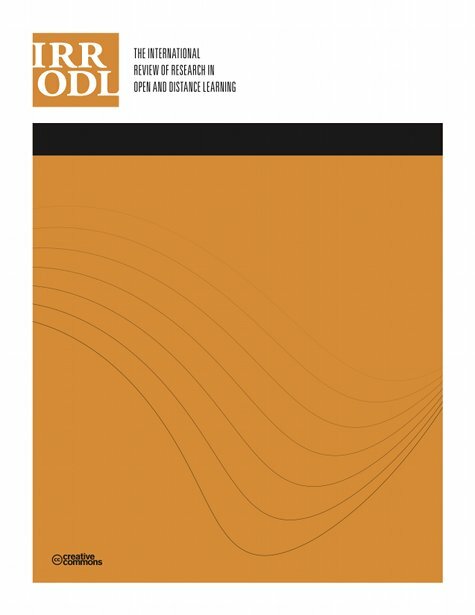 Open Learning, The Journal of Open and Distance Learning, 24, 3-10. Downes, S. (2007). Models for sustainable open educational resources. Interdisciplinary Journal of Knowledge and Learning Objects, 3, 29-44. Hilton, J., Gaudet, D., Clark, P., Robinson, T.J., & Wiley, D. (2013). The adoption of open educational resources by one community college math department. The International Review of Research in Open and Distance Learning, 14(4). Retrieved from http://www.irrodl.org/index.php/irrodl/article/view/1523. Hilton, J., & Laman, C. (2012). One college’s use of an open psychology textbook. Open Learning, 27(3), 265-272. Johnstone, S.M. (2006). Open educational resources serve the world. Educause Quarterly, 28(3), 15. McKerlich R., Ives, C., & McGreal, R. (2013). Measuring use and creation of open educational resources in higher education. The International Review of Research on Open and Distance Learning, 14(4). Retrieved from http://www.irrodl.org/index.php/irrodl/article/view/1573/2637. National Center for Education Statistics. (2013). Http://nces.ed.gov/. Privateer, P.M. (1999). Academic technology and the future of higher education: Strategic paths taken and not taken. Journal of Higher Education, 60-79. Provasnik, S., & Planty, M. (2008). Community colleges: Special supplement to The Condition of Education 2008: Statistical anaylsis report, August 2008. Ravid, G., Kalman, Y.M., & Rafaeli, S. (2008). Wikibooks in higher education: Empowerment through online distributed collaboration. Computers in Human Behavior, 24(5), 1913-1928. Rockinson-Szapkiw, A.J., Courduff, J., Carter, K., & Bennett, D. (2012). Electronic versus traditional print textbooks: A comparison study on the influence of university students’ learning. Computers& Education. U.S. Government Accountability Organization. (2005, July). College textbooks: Enhanced offerings appear to drive recent price increases (Publication No. GAO-05-806). Retrieved from http://www.gao.gov/new.items/d05806.pdf. Wiley, D., Hilton, J., Ellington, S., & Hall, T. (2012). A preliminary examination of the cost savings and learning impacts of using open textbooks in high school science classes. International Review of Research in Open and Distance Learning.